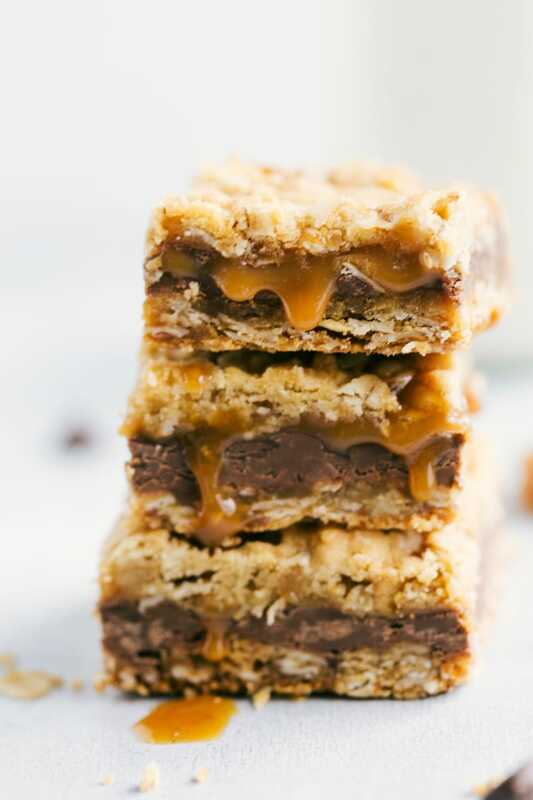 The BEST EVER Carmelitas — oatmeal bars with a thick layer of milk chocolate and creamy caramel. Video tutorial and step by step recipe instructions. 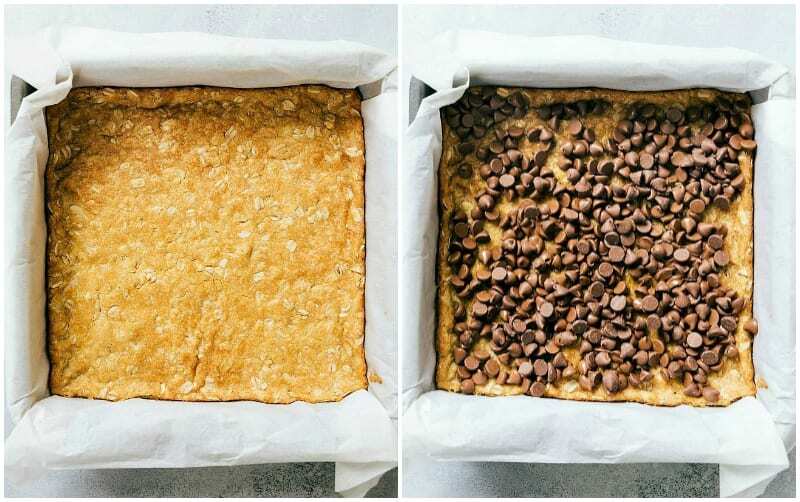 Once you’ve tried this carmelitas recipe, you’ve got to try these 7 Layer Bars, these oatmeal chocolate chip cookies, or for a fruity dessert: these lemon bars. Carmelitas — these bars are my absolute hands-down favorite dessert. It’s no secret I’m obsessed with all kinds of desserts, but if you ask me my favorite — these always win. Since carmelitas are my favorite EVER dessert, I’m pretty picky with how they end up. I’ve tweaked my mom’s recipe (and I’m not sure where she got hers) over the years to make them just right! The crust is even throughout, the chocolate layer is thick, the caramel is soft and gooey. 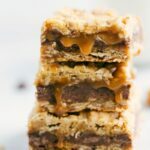 The layers are just right and once these have cooled, you’ll get a bite of the BEST EVER carmelitas! 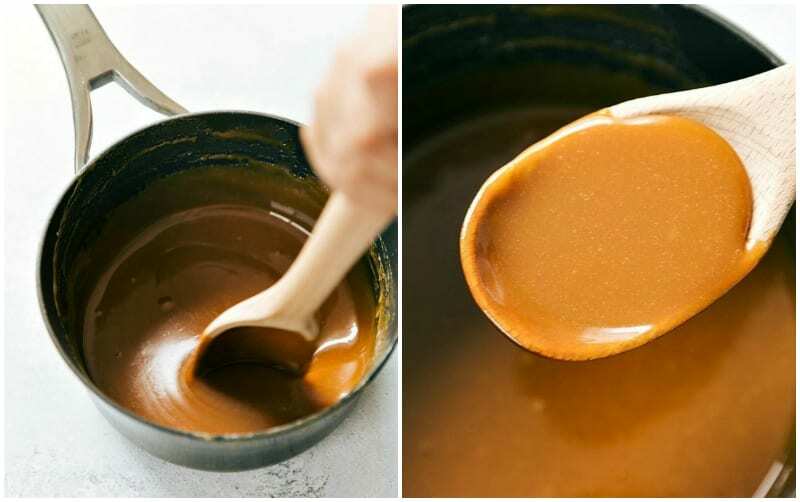 Prepare the caramel filling: add caramels and heavy cream to a saucepan and melt, stirring frequently, until completely smooth. Prepare the crust: mix the butter, sugar, flour, oats, baking soda, vanilla, and salt. Half of this mixture forms the bottom crust and the other half goes on top! 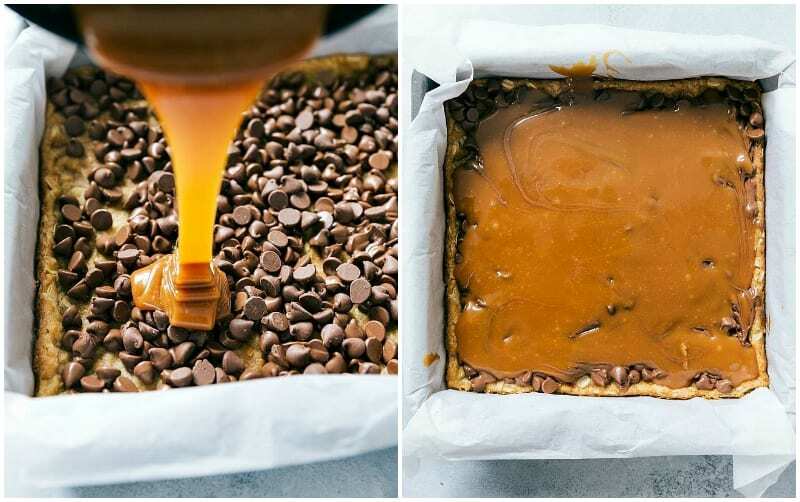 Bake: Bake the crust first, then add chocolate and caramel in the middle, add the final crust layer, and bake once more! Follow those 3 steps and you’re on your way to perfect carmelitas! It’s important you use a 9 x 9 baking pan (instead of an 8 x 8 pan) so you don’t have a huge “side crust.” The dough works perfectly in a 9 x 9 pan to make sure it’s relatively even and flat. 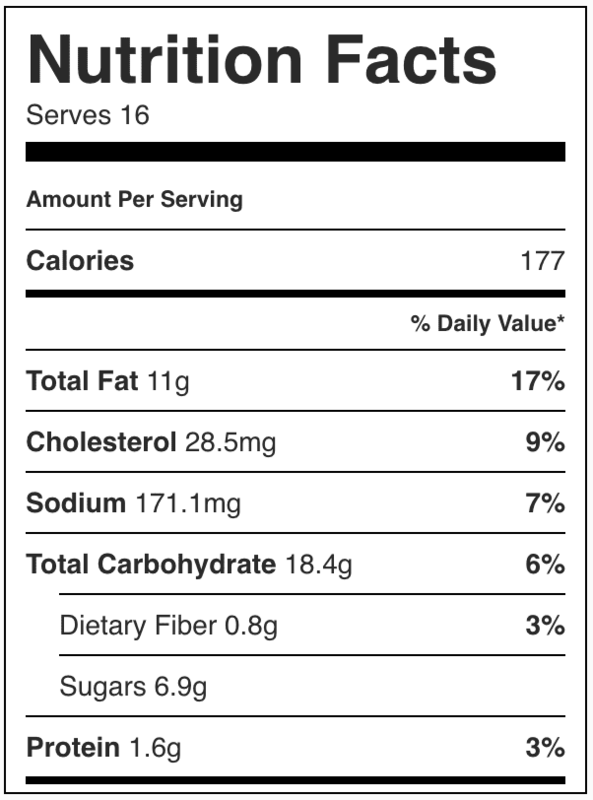 Using Milk chocolate chips are a must for these bars (in my opinion), BUT if you are worried about them being too sweet (or simply don’t like milk chocolate), then definitely use semi-sweet or dark chocolate in its place. I recommend a good quality SOFT caramel. While it is kind of a pain to unwrap individual caramels, it is so worth it to go with a quality caramel! Use parchment paper. Seriously these are ridiculously messy and difficult to get out of the pan if you don’t line it well. With parchment paper they are a breeze to pull out and clean up is even easier! Let them cool completely before pulling them out or cutting them up. This isn’t one of those desserts that is best out of the oven, but rather, it’s best when they are completely cooled and set up. You can also chill these carmelitas for a little change – they’re delicious that way too! This is the kind of thing I love but I’m usually too lazy to make. I think I need to get off my bum and do it though. They look amazing! Oh my…these look sooo good. Wish I had one now! I just had lunch, am full, but yet suddenly am finding myself crazy hungry and drooling over these bars! They look and sound phenomenal!!! Pinned! nbd, you just combined all of my fav ingredients into one recipe. Pinned for my next dinner party and by dinner party I mean me, myself and I…tomorrow. I can totally taste these. Instant drooling here! Um…yes please!!! These look positively amazing!!!! Yum! These bars look delicious! Can you use pre-made caramel sauce? I wouldn’t recommend it for this recipe. I made these to bring to work and they are delicious!! I used semi sweet chocolate. Yum! If I double this recipe will it work in a 9×13 pan or will the crust be too thick. I’m not sure since I’ve never tried it, but I think it would be okay! ohhh,, look so good going to do for charity bake sale !